Discover the best ways to keep your lips feeling healthy. It can be very tempting to lick your lips, especially when you’re wearing a tasty lip balm, but here’s why it’s a bad idea. Why is it bad to lick your lips? Licking your lips might feel great at the time and your lips might feel moist temporarily, but in reality this habit is causing them to dry out. When you lick your lips, you’re coating them in saliva. Not only does it evaporate very quickly to leave lips drier than before, your saliva is also full of enzymes that are too harsh for the delicate lip skin. These enzymes can remain on the lips and cause them to feel dry and uncomfortable. However, there’s no need to put up with chapped lips. By using a soothing lip balm that’s free of sweeteners like NIVEA® Lip Care Moisture, your lip-licking habit may become nothing but a distant memory. Don’t let lip-licking become a habit! It’s easy for licking your lips to become a habit, because when they feel dry after being licked it’s so tempting to lick them again and re-moisten them. The more persistent this becomes, the drier and more uncomfortable your lips will feel. Lip balm doesn’t need sweetener to smell wonderful! Some of the first things you’ll notice about NIVEA® lip balms are their silky textures and sweet scents. It’s this that makes applying them a nice experience. Hence, sweeteners aren't needed for this, just indulgent formulas and caring ingredients. 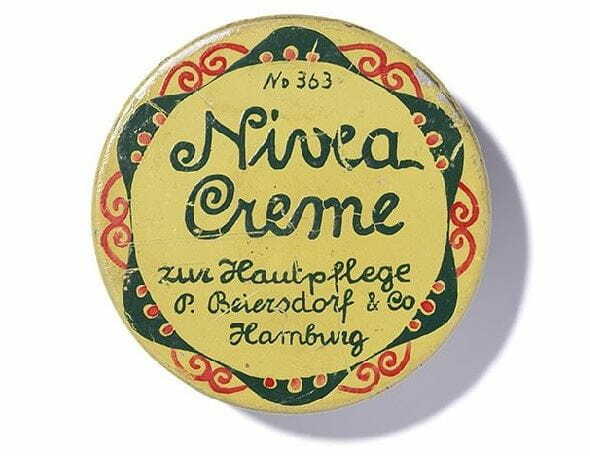 Why aren't there sweeteners in NIVEA® lip balms? Many people think that adding sweetener to lip products will increase their appeal by making them taste sweet. People that wear lip balms containing sweeteners are far more likely to lick their lips throughout the day. This, in turn, causes lips to become dry and chapped. Although having a lip balm that tastes as delicious as it smells is a nice idea, in reality it isn’t the best way to get healthy-looking lips. Smooth and healthy lips can help give you a radiant smile – learn how to keep your pout perfect! Apply NIVEA® lip balms regularly to keep lips smooth and healthy-looking and you’ll have no excuse not to let that smile shine through. Smiling is proven to give you an instant confidence boost and make you feel great – so don’t be afraid to show off that pout! What products should I be using? One of the best ways to ensure your lips are kept healthy-looking is by regularly applying moisturizing lip balms. The NIVEA® Lip Care range is designed with a variety of products to suit every need. NIVEA® Lip Care Cherry delights the lips with a lovely cherry aroma, a glossy shine and long-lasting moisture. Like the other products in the fruity range, it contains no sweeteners, so you won't have the urge to lick your lips. If you’d rather a smoother texture, NIVEA® Lip Care Smoothness has a moisturizing formula, which pampers lips and leaves them feeling sensationally soft. Keeping your body hydrated by drinking enough water will have an effect on the health of your lips too, leaving them feeling smoother and healthier. This is especially important during the winter months when the cold weather tends to rob the skin of its moisture.